don't get caught: Kodak Zi8: video editing dream? I'm shipping off the Kodak Zi8 ultralight camcorder to the first of four testers shortly. But in the process of uploading the camera's editing software and getting it ready to send out, one of my strongest impressions is that this camera may be the online video editor's dream--I'll let my testers tell me if that's so. See and edit all my available videos and images, even those not created on this camera. All the editing tools appear to work with those videos, too. Manipulate color brightness, contrast and saturation -- the latter lets me take nearly all the color out of a video for a near black-and-white effect or dial it up to super-psychedelic-saturation point. Frame-by-frame advance for a great level of precision editing. Converting your video into special effects, like black-and-white, sepia and "old movie" (complete with scratched frames); fish-eye perspective; overexposure; watercolor or sketch effects; and more. 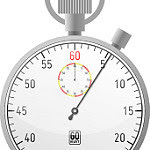 Two more useful tools that expand what you can do: a timer that counts down your edited video against the original, and a "revert" button, the valuable undo option after you've played with all those features. You also can save various versions and capture still photos from your video. For a pocket-size point-and-shoot camcorder, those features add much to the arsenal of what you can produce inexpensively and fast for your website, blog or social media posts. I'm looking forward to what my testers come up with as editing and shooting options. Stay tuned!